Date Palm's are swell-known for their popular nutritious and sweet date fruit. The fruit can be eaten raw, but it is usually dried, pitted, and candied. Date fruits can be turned into jams, spreads, and even used in brewing alcohol. Date Palm is appreciated as an ornamental, and is often planted in Florida cities for urban spaces like sidewalks, highway medians, and street corners for a colorful, tropical look. It's large leaves are green and bluish-green and create large v-shaped fans. Date fruit is bright orange in color when ripe. A mature Date Palm tree can produce up to 100 to 200 pounds of fruit per year. A member of the Palm Tree family, the Date Palm has been cultivated for thousands of years in the Levant. 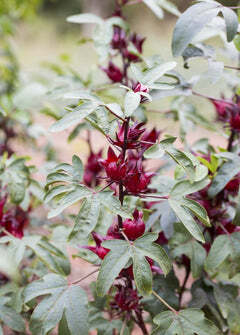 It is native to this region, as well as North Africa and South Asia, but it is also cultivated around the world. Economically, date fruit is an important crop for many countries in the Middle East. Phoenix dactylifera looks like most other palm trees- a large towering and stout trunk that in some cases can reach heights of 100 feet! Soil & Moisture: Well-draining sandy soil. Tolerant of most soil conditions. Drought tolerant.